Proceed north on Manchester Road, cross over Route 5/12th Street and proceed north down Manchester Road. Proceed west on West Lake Road (12th Street/Route 5) and turn right onto Manchester Road. 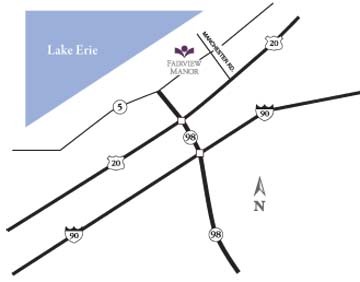 Proceed east on West Lake Road (Route 5/12th Street) and turn left onto Manchester Road.